Maryland’s lawmakers returned to Annapolis on Jan. 11. 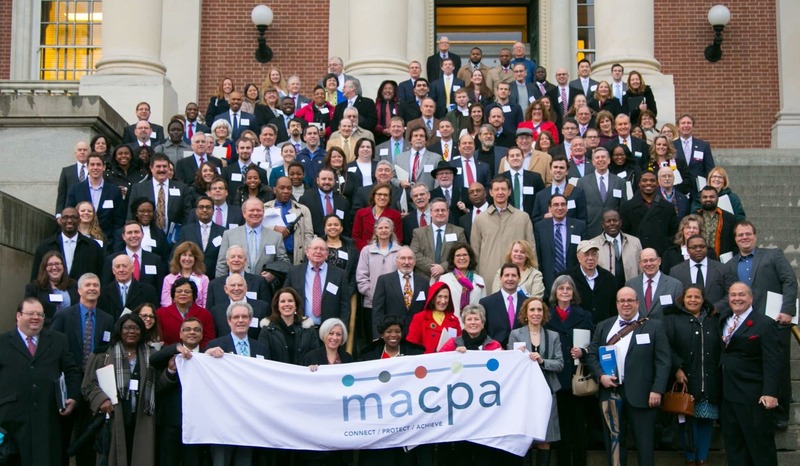 Maryland’s CPAs arrived this week, and if the 2017 edition of CPA Day in Annapolis is any indication, it’s going to be a memorable General Assembly session. A record number of CPAs — nearly 250 in all — turned out on Jan. 26 to help protect their profession. They spoke with lawmakers, explained the impact that various issues would have on Maryland’s business community, and did what too few citizens do these days: They got involved. They took a stand. They raised their voices. A number of issues dot the MACPA’s 2017 legislative agenda. Some are old favorites — lobbying against sales taxes on professional services, stopping comparative fault legislation, promoting firm mobility. Others are fairly new — standing up against the nullification of non-compete employment clauses, for instance, and opposing mandatory paid sick leave. All of them, though, impact the profession in significant ways. As we made clear during CPA Day, we’ll be monitoring them all. The issues and the record turnout weren’t the only highlights in Annapolis, though. Maryland Gov. 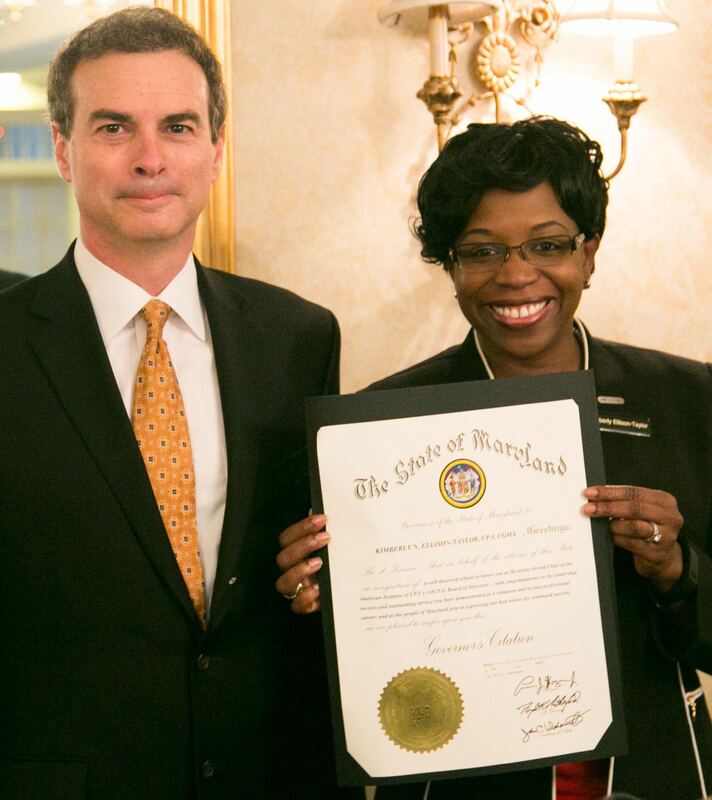 Larry Hogan issued a proclamation honoring MACPA member and AICPA Chair Kimberly Ellison-Taylor for her contributions to the profession. Ellison-Taylor is the first Marylander to serve as AICPA chair, and just the fifth woman to do so. And she is the first minority, male or female, to lead the Institute’s Board of Directors. Hogan’s proclamation was presented to Ellison-Taylor by Sen. Brian Feldman, one of only two CPAs currently serving in the General Assembly. (See photo above). Ellison-Taylor was later recognized on the floors of both the Maryland House and Senate as well. An impressive number of students and young professionals joined the usual throng of legislative volunteers for CPA Day, continuing a trend of increasing legislative activity among the profession’s youngest generations. “We really seem to be building a cross-generational community around our advocacy efforts,” Hood said.